Dongmei is a research fellow with more than 20 years of professional experience on China’s energy and climate change policy development. At the Center, she carries out research on China and has contributed to workshop briefs. Previously she worked in a state-owned company, and in government and non-government agencies. As a senior adviser and head of IIP’s China office, she engaged with Chinese industrial stakeholders for best practice development and dissemination. 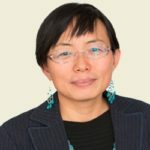 As director of the WWF China Climate Change and Energy Program, she designed the Low Carbon City Initiative in partnership with local governments and international networks. Dongmei also engaged in the study and discussion on renewable energy and coal policy in China. 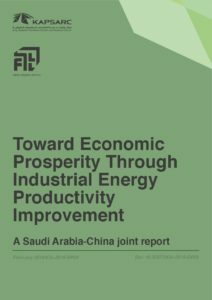 In this report, we explore the main trends and policies that relate to industrial energy productivity in China and Saudi Arabia, focusing on energy efficiency, structural economic reform, industrial upgrading and energy pricing. Our objective is to increase shared understanding on these issues as both countries deepen their engagement as part of China’s Belt and Road Initiative and Saudi Arabia’s Vision 2030.